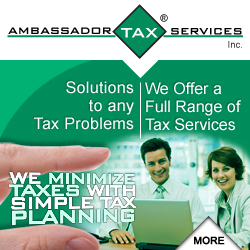 Landing Page › Forums › Personal and Business Tax Matters › Small Business Tax › Are there specific income tax deductions for home-based businesses? Are there specific income tax deductions for home-based businesses? Home-office expenses are deductible only to the extent that the home is being used regularly to cater to customers and to earn business income. Furthermore, such expenses must be reasonable and apportioned accordingly to the business-related space (e.g. electricity, heating, insurance costs). These expenses can offset business income, but cannot result in a loss – the difference can be carried forward to offset business income in a future tax year. These expenses are reported on Form T2125 Statement of Business or Professional Activities as part of an personal tax return filing.